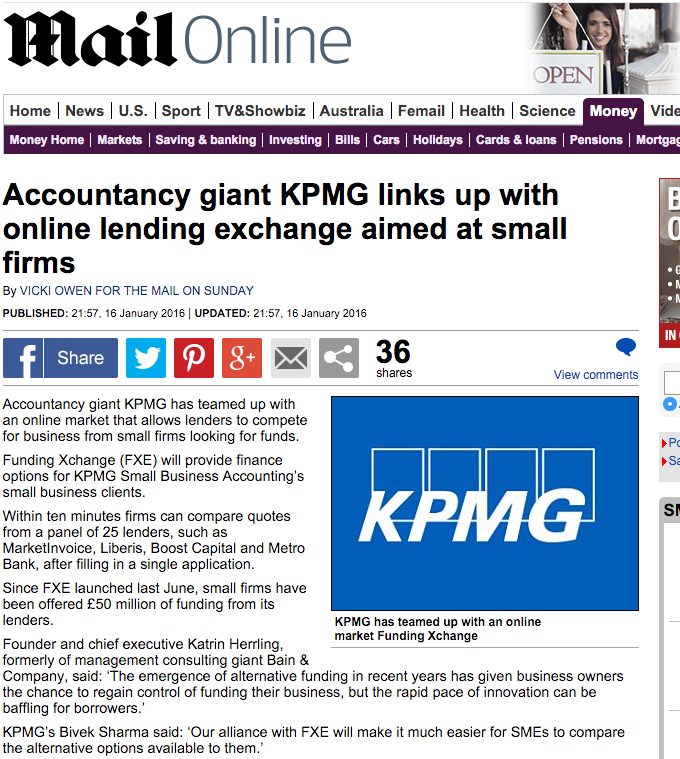 The launch of our partnership with KPMG Small Business Accounting was exclusively featured in the Daily Mail's 'This Is Money'. Here's an excerpt from the article: "Founder and chief executive Katrin Herrling, formerly of management consulting giant Bain & Company, said: ‘The emergence of alternative funding in recent years has given business owners the chance to regain control of funding their business, but the rapid pace of innovation can be baffling for borrowers. KPMG’s Bivek Sharma said: ‘Our alliance with FXE will make it much easier for SMEs to compare the alternative options available to them.’"